There is a wealth of information about anxiety and how it impacts emotional, psychological, and physical health. Anxiety can cause the person to feel overwhelmed, panicked, and a general sense of unease. These symptoms can affect not only your well-being but it can take over many other areas of your life such as work, family members, friends, and your intimate relationship. Are you feeling stressed on your relationship or contemplating ending it? If so, anxiety may be playing a role on putting your relationship at risk. If you’re feeling overwhelmed, worried about your recent argument, or trying to “fix” things as soon as possible you might not have time to notice on what is happening in the now. The fear and worries can cause you to be less attuned to your needs and your partner’s needs. The inability to be present in the moment can muddle your insight and awareness on how to take care of yourself and the relationship. When we ruminate about problems in a state of chaos we feed the anxiety. Shift your focus on being instead of doing. It is difficult to listen to your thoughts & physical signs when you are not slowed down. Pause, think, and feel, instead of assuming and letting your anxious thoughts take over. Help yourself find the evidence before you jump into conclusions. 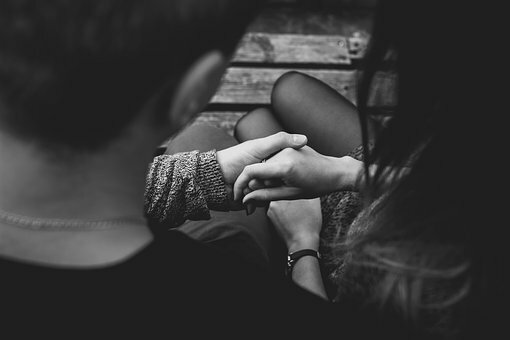 Once you’re in a calmer place, you can start to share openly with your partner on what happens to you when you’re feeling worried. 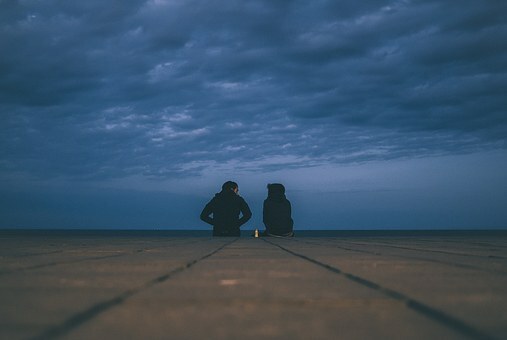 Be intentional about building trust and connection by reaching out to your partner: be vulnerable, help your partner understand what anxiety feels and looks like. Instead of attacking or withdrawing strive to deepen your connection with your partner. Asking someone to share what they are feeling in a state panic, is easier said than done. Anxious people find it extremely difficult to give themselves or partner attention or space that is needed. In the heightened state of anxiety, some might try to avoid it while others believe “fixing the problem” immediately. Taking a short break can be beneficial for you and your relationship. Resisting your feelings can feed and intensify anxiety, therefore acknowledging them can ease some of the tension you might experience. Approach a conversation with partner with kindness, and discuss some of the thoughts or fears that drain your energy. Because anxiety brings an overactive fear response, ruminating about it may leave you with very little time to practice self-care. Some anxiety is healthy for everyone. However, if your anxiety causes you to reject/avoid things that are beneficial for you, it can create more suffering for you and your relationship. Could it be that the anxiety is real but not true? Quite your mind to hear your own wisdom. Anxiety rubs people of joy. Practicing being with your uncomfortable thoughts, pausing, and listening to your anxiety might be just what you need to remove those invisible chains your anxiety creates. The deepest gift we can give ourselves is the quality of non-doing presence. So…. notice your anxiety, and come back to it with a lot of kindness. Intentionally turn your attention to whatever opens your heart by looking for what you love and practice. Practice being present for yourself and your partner and then practice some more and remember- where attention goes energy flows.